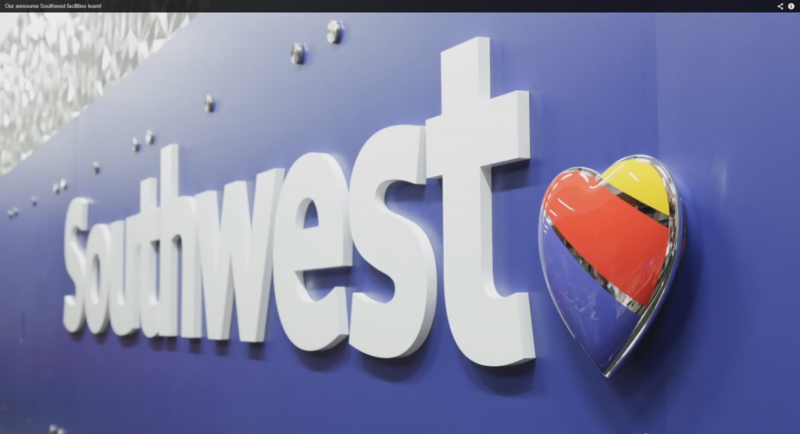 Q&D is the construction manager providing program management services as well as procurement and installation of Southwest Airlines’ new branding signage in over 90 airports across the U.S.
A small revision like removing and replacing signage may seem simple. 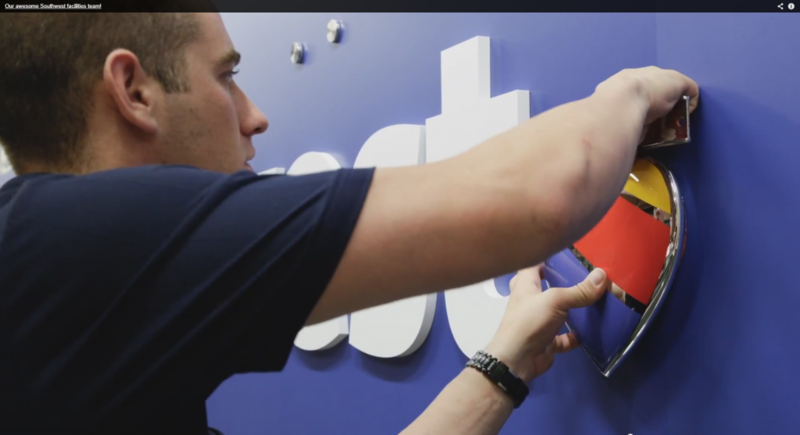 But with varying kinds of airport ownership and regulations, varying standards for signage and construction in each airport, hanging a sign can be a complex process that puts to work all of our stakeholder collaboration skills. In order to accomplish each individual installation in a short amount of time, the process is layered, with 6 to 10 active projects overlapping in different stages of design and approval. For each project, the Aviation Group’s Project Blue team leader researches ahead of time the signage requirements and approval process at each airport, beginning with understanding the facility’s unique design constraints and approval process. Reviews and approval intensity varies from in-depth to instantaneous depending on the facility. Q&D works together with our vendor partner to create fabrication drawings and submits them to the appropriate review team. Once the review is complete and approved, fabrication starts and the duration is proportionate with the size and number of signs. 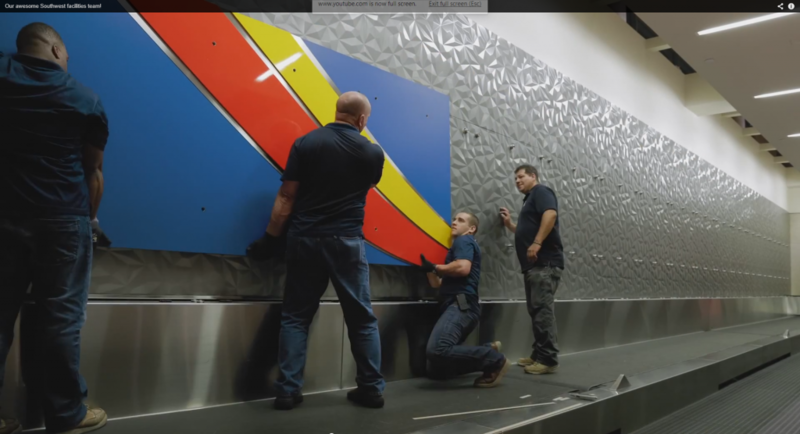 Signs are shipped to the airport and met there by a team of Q&D installers who have pre-arranged the work with the airport staff and are experienced at working around travelers and airline operations without impacting them. 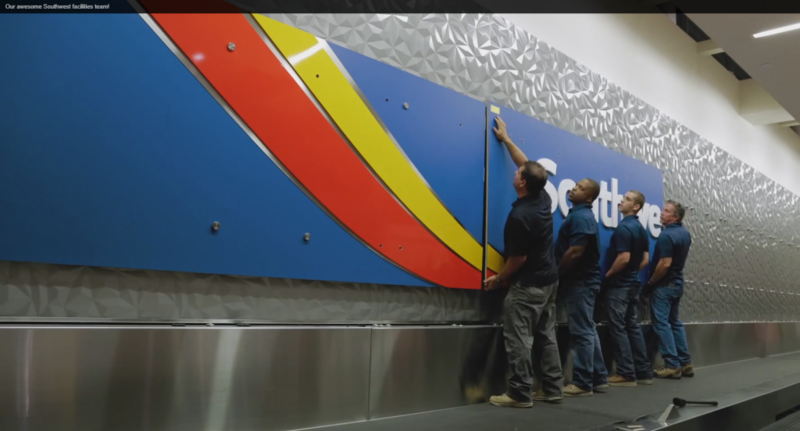 Q&D’s team installed Southwest Airlines’ new branding signage across 7 cities at the tail end of 2014, with 42 planned or currently in progress for 2015 and a total of 90 overall through early 2016. 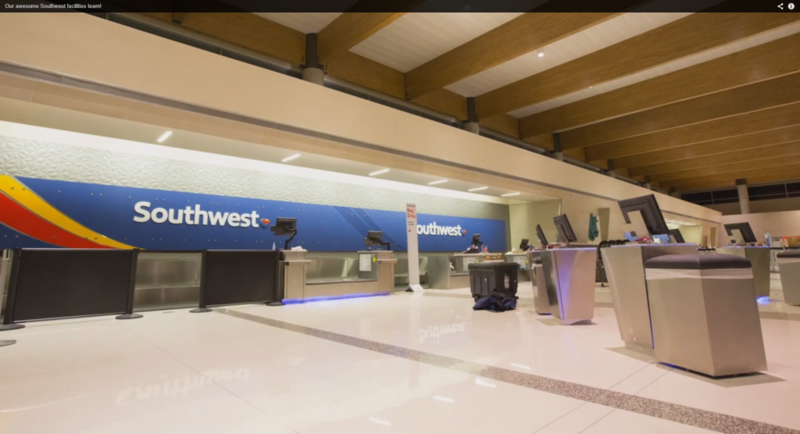 Based at our Q&D Headquarters, but in over 90 airports across the U.S.